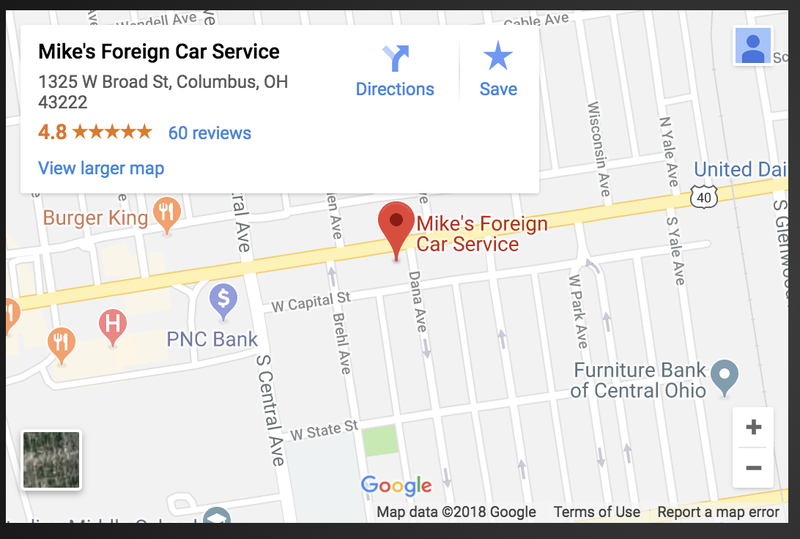 Here at Mike’s Foreign Car Service, we understand that maintaining your vehicle can be difficult. That is why we offer a variety of services and repairs that will keep your car, truck or SUV running safe and reliable for as long as you choose to keep it. So no matter if it’s your daily driver or a classic that you want to get running again, we are here to help you get back on the road as quickly and safely as possible. We know how inconvenient car trouble is and that’s why are both quick and efficient. We can quickly diagnose any issues you may be experiencing with your vehicle. You really have to be passionate about foreign cars to keep up with the ever changing automotive repair and service landscape and that’s why you can trust our knowledgeable and friendly staff. We can take care of your Audi, BMW, Mercedes Benz, Toyota, Lexus, Honda or Acura. If it’s a foreign make or model, we can fix it and get you in a vehicle that reliably gets you from point A to B. Regular service intervals are still one of the most effective and efficient ways to maintain the reliability of your foreign car, truck or SUV. While most modern vehicles can now go longer between oil changes or mileage check ups, there are still several components in your engine and braking system that are vulnerable to wear and tear. Your manufacturer outlines service suggestions based on ideal driving condition. If you can’t find your owner’s manual or noticed that your vehicle is not driving as well as it used to, bring it into us and we can perform a vehicle check that will give you a better idea as to your vehicle’s condition. Once we get to know you and your vehicle, we can suggest a maintenance schedule that will work for both you and your vehicle allowing you to drive worry free for as long as you choose to own your current car, truck or SUV. We are conveniently located at 1325 W Broad St, so feel free to call in, drive on by or schedule an appointment online for a day and time that works for you!